ARLINGTON, VA – The Washington Capitals will host their 16th annual Salute to the Military Night on Tuesday, Feb. 20, during the game against the Tampa Bay Lightning at Capital One Arena at 7 p.m. Salute to the Military Night is an evening dedicated to honoring the men and women who have served the country in the armed forces. More than 500 service members will be in attendance at Tuesday’s game. 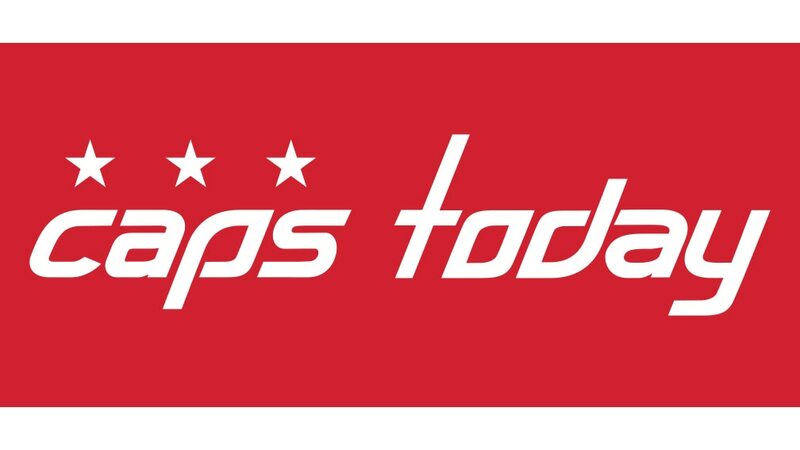 With the support of corporate sponsors the Capitals have provided thousands of complimentary tickets to military personnel and their dependents the past 16 seasons. The Capitals will pay tribute to the military throughout the evening through in-game and intermission activities. During pregame warm-ups the Capitals will wear camouflage jerseys, which will be signed and auctioned off by Monumental Sports & Entertainment (MSE) Foundation on Handbid. Additional items in the auction include autographed player-used sticks wrapped in camouflage tape and pucks with camouflage Caps logos. The auction will open on Feb. 13 and close at the end of the second intermission on Feb. 20. CLICK HERE to bid. One hundred percent of the auction proceeds will benefit the USA Warriors Ice Hockey Program and United Heroes League as part of the Capitals and the 2018 Coors Light NHL Stadium Series Legacy Project. M. Sgt. Caleb Green (Ret.) and Sgt. Major Bob McDonald (Ret.) will perform the national anthem. The Capitals youth hockey flag tunnel and mites on ice will be comprised of players from Navy Youth Hockey. The second intermission will feature the USA Warriors sled hockey team in a skills exhibition. During the game the Capitals also will play a tribute video honoring service members. In addition the 2018 Courage Caps presented by Telos campaign will launch, with all proceeds benefiting Tragedy Assistance Program for Survivors (TAPS). TAPS offers compassionate care to all those grieving the loss of a military loved one. Courage Caps and T-shirts will be sold starting at $20 online at WashCaps.com/courage, at the Washington Capitals Team Store at Kettler Capitals Iceplex and at the Team Store and at merchandise stands throughout Capital One Arena during Capitals home games. There will also be a limited number of autographed Courage Caps available for sale at the Team Store and the stand at section 107 at Capital One arena during Capitals home games and online at WashCaps.com/courage. 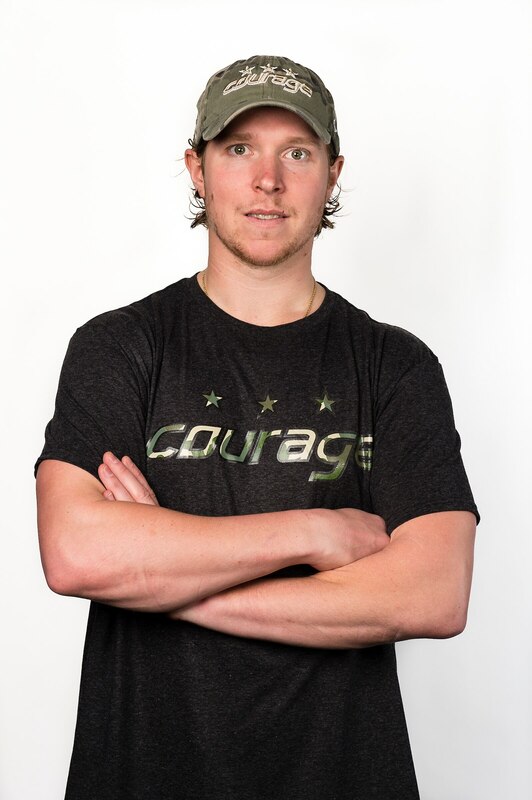 For $50 fans can purchase a Courage Cap signed by Nicklas Backstrom, John Carlson, Braden Holtby, T.J. Oshie, Alex Ovechkin or Tom Wilson; for $40 fans can purchase a Courage Cap signed by any other individual player. Capitals fans will be able to order hats signed by any rostered player online. Salute to the Military Night is made possible by the support of partners including Baker Donelson, General Atomics, Hitachi, Lockheed Martin, Honeywell, Textron, OshKosh, ATK, UA, Boeing, Tanium and CGI. The USA Warriors, based out of Rockville Maryland, encourages individuals who have disabilities incurred during military service to the United States to participate in the sport of ice hockey in an environment that is adapted to the level of their ability. The Program also supports the formation of “USA Warrior Hockey Programs” locally and nationally. The USA Warriors’ programs consist of standing team and sled or “sledge” hockey teams. The USA Warriors is a strictly volunteer organization. United Heroes League actively works to ensure that children of military members are afforded every opportunity to participate in sports. The organization has provided more than $3 million worth of free sports equipment, game tickets, cash grants and summer camps to military families across the US & Canada. United Heroes League wants to ensure that all 5 million military kids are able to develop critical life skills through sports and has inspired more than 90 professional athletes and over 30 sports franchises to lend their name and support to United Heroes League. The Tragedy Assistance Program for Survivors (TAPS) is the national organization providing compassionate care for the families of America’s fallen military heroes and has offered support to more than 75,000 surviving family members of our fallen military and their caregivers since 1994. TAPS provides peer-based emotional support, grief and trauma resources, grief seminars and retreats for adults, Good Grief Camps for children, case work assistance, connections to community-based care, online and in-person support groups and a 24/7 resource and information helpline for all who have been affected by a death in the Armed Forces. Services are provided free of charge. For more information go to www.taps.org or call the toll-free TAPS resource and information helpline at 1.800.959.TAPS (8277). 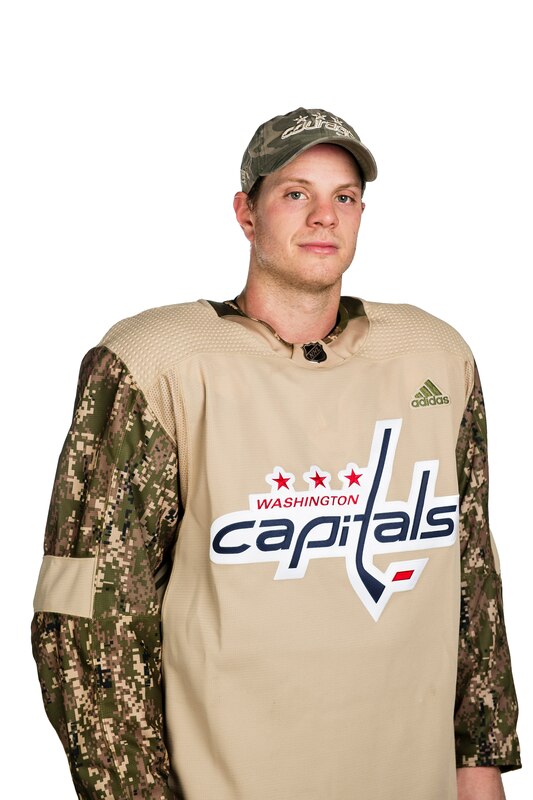 (Jersey 1) Photograph of the camouflage jerseys to be worn by Capitals players in honor of the team’s 16th annual Salute to the Military Night during pre-game warmups on Feb. 20 prior to the game against the Tampa Bay Lightning. The jerseys will be signed and auctioned off by Monumental Sports & Entertainment (MSE) Foundation. The auction will open on Feb. 13 and close at the end of the second intermission on Feb. 20. One hundred percent of the auction proceeds will benefit the USA Warriors Ice Hockey Program and United Heroes League. (Courage 1): Photograph of the 2018 Courage Cap. The 2018 Courage Caps presented by Telos campaign will launch Feb. 20, with all proceeds benefiting Tragedy Assistance Program for Survivors (TAPS). TAPS offers compassionate care to all those grieving the loss of a military loved one.